In a critical letter dated 1 December 2013, the president of the Pan-African Parliament calls on the European Parliament's president, Mr. Martin Schulz, to vote against fisheries agreement with Morocco offshore the coast of the AU member state, Western Sahara. The letter below was sent by the President of the Pan-African Parliament, H.E Hon Bethel Nnaemeka Amadi, to his counterpart, Mr. Schulz, 1 Dec 2013. He writes that an EU fisheries agreement with Morocco covering the waters of Western Sahara would “undermine the efforts deployed by the United Nations and the African Union to find a peaceful and lasting solution to the conflict”. Letter can be downloaded here. On behalf of the Bureau and members of the Pan African Parliament, let me once again thank you for honouring us with your presence during the 2nd Ordinary Session of the Third Parliament of the Pan African Parliament held in May, 2013 and we look forward to further collaboration with the European Parliament as we prepare for the Joint African EU Summit in April, 2014. It is with a sense of urgency that I would like to address to you this letter to draw your attention to a highly serious development relating to the question of Western Sahara. We have been informed that, the European Parliament is about to vote on the new EU-Morocco Fisheries Protocol, which does not explicitly exclude from its geographical scope the territorial waters of Western Sahara, the last Non-Self-Governing Territory in Africa. As you also are aware, the new protocol was proposed by the EU Commission to replace the second protocol to the Fisheries Partnership Agreement (FPA) between the European Community and the Kingdom of Morocco, which was already vetoed by the European Parliament on 14 December 2011. It is well known that the Non-Self-Governing Territory of Western Sahara, the last colony in Africa on the agenda of the United Nations as a decolonisation issue, is not part of Morocco which continues to occupy illegally large parts of the Territory since 31 October 1975. 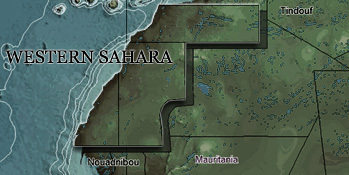 In its historic advisory opinion on Western Sahara, issued on 16 October 1975, the International Court of Justice very clearly established that there never existed “any tie of territorial sovereignty between the territory of Western Sahara and the Kingdom of Morocco or the Mauritanian entity”. It also endorsed “the decolonisation of Western Sahara” by means of the exercise of “self-determination through the free and genuine expression of the will of the peoples of the Territory”. The United Nations, the African Union and all UN Member States have never approved Morocco’s occupation of Western Sahara or recognised the legality of its forceful annexation of the Territory. In accordance with General Assembly resolutions 34/37 (1979) and 35/19 (1980), Morocco is an occupying power of Western Sahara, and the UN has never recognised it as administering power of the Territory. As an occupying power, Morocco thus has no right whatsoever to exploit the natural resources of the occupied territories of Western Sahara or to enter into agreements with third parties concerning those resources over which only the Sahrawi people have permanent sovereignty. In view of the legal status of Western Sahara as a Non-Self-Governing Territory, and given the political, legal and ethical implications of the EU-Morocco Fisheries Agreement, the European Union could have simply excluded Western Sahara from the geographical scope of the FPA, just as other governments have done with respect to their trade agreements with Morocco. On 20 July 2004, the Trade Representative of the US Government stated in relation to the US-Morocco Free Trade Agreement (FTA) that “the United States and many other countries do not recognise Moroccan sovereignty over Western Sahara” and that “The FTA will cover trade and investment in the territory of Morocco as recognised internationally, and will not include Western Sahara”. The new EU Fisheries Protocol with Morocco, which does not explicitly exclude the territorial waters of Western Sahara, clearly flies in the face of the clear and strong positions exhibited by some EU Member States. It also disregards the majority opinion expressed by the European Parliament and its Legal Service, which, in July 2009, established that EU-flagged vessels were in effect fishing in the waters adjacent to Western Sahara under the EU-Morocco FPA. The Legal Service also underlined that the people of Western Sahara had never been consulted nor received any benefits from the exploitation of their own fisheries resources. It further stressed that, if the rights of the Sahrawi people under international law would not be fully respected under the FPA, then the agreement should be suspended or be applied in such a way that EU-flagged vessels would be excluded from the exploitation of the waters of Western Sahara. Under these circumstances, approving this new Fisheries Protocol with Morocco will be tantamount to rewarding Morocco for its unabated violation of the basic human rights of the Sahrawi people, which have been documented by major international and African human rights organisations. It would further undermine the efforts deployed by the United Nations and the African Union to find a peaceful and lasting solution to the conflict based on the exercise of the inalienable right of the Sahrawi people to self-determination. It may also give a sign of legitimisation to the Moroccan occupation of the Territory, thus contributing to prolonging the suffering of the Sahrawi people. Against the above background, I urge Your Excellency not to approve this new EU-Morocco Fisheries Protocol for the obvious negative legal, political and ethical implication on the sovereignty, independence and territorial integrity of the Western Sahara people. Furthermore, I urge Your Excellency to bring this issue to the attention of Members of your Parliament for their consideration. Please accept, Mr President, the assurances of my highest consideration.